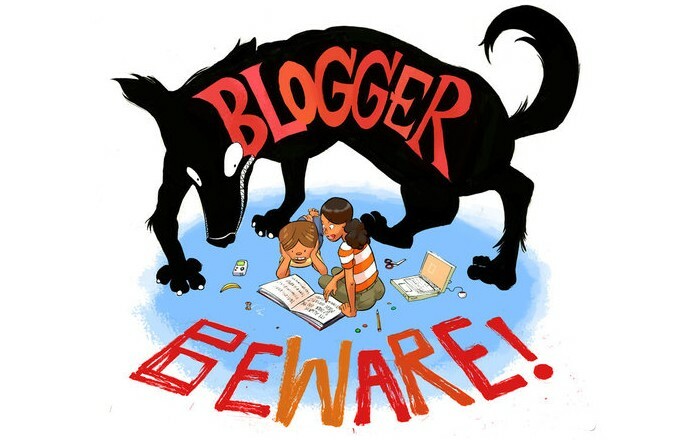 blogger beware: the goosebumps blog: #06 Let's Get Invisible! Front Tagline: Now you see him. Now you don't. Back Tagline: Disappearances Can Be Deadly. On Max's birthday, he finds a sort of magic mirror in the attic. It can make him become invisible. So Max and his friends start playing now you see me, now you don't. Until Max realizes that he's losing control. Staying invisible a little too long. Having a harder time coming back. Getting invisible is turning into a very dangerous game. Before I realized RL Stine was the Tommy Wiseau of children's literature, Let's Get Invisible! was my favorite Goosebumps book. Looking back on it now, I can see why it appealed to me as a child. Certainly it's the most leisurely-paced book in the series, but it's also well-written and somewhat suspenseful. However, it contains no out-of-town scientist werewolves, so how good could it really be? The simple story starts with our protagonist Max combing his hair in a mirror. Oh Foreshadowing Alert, how I've missed you. Max combs his hair a lot, as he wants to make sure he looks good for his birthday party. Unfortunately his kid brother Lefty keeps making fun of him with really scorching zingers like "You're stupid." The creativity of that burn shows that clearly Lefty has received his nickname not just from his writing-hand but also his use of the left-side of his brain. Max's best friend Zack shows up armed with a lousy present (some used X-Force comics, which apparently did exist) and an even lousier haircut: buzzed on one side and combed straight on the other. I couldn't find a picture of Ellen Page in Mouth to Mouth but if I had, it would have gone here. Oh, how those of you who have seen that movie would have... well, maybe not laughed, but nodded and said "That's a reference to something and I get it." Also at the party are two girls. Erin, whose voice sounds like a mouse, and April, whose voice presumably does not. Max excitedly tells his guests that they're gonna "barbecue"-up some hot dogs. Mm-Mmm, the delicious taste of wasted effort! What kind of marinade do you use for barbecued hot dogs, boiled water? As if that wasn't enough to get that party started in there, Max tries to get everyone to watch "the Terminator movie" he rented. Not The Terminator, but "the Terminator movie." And it's called that more than once. I guess the parenting skills in Max's house are also invisible, so as to allow for R-rated movies and unsupervised coed mingling. After the party dies down, only April and Erin are left. The four kids decide that the only thing cooler than watching "the Terminator movie" is exploring a dusty old attic. Max's dog Whitey discovers a hidden room in the attic-- Oh no, don't tell the brownshirts! The room is empty except for a large antique mirror that takes up almost the entire wall. Max begins plotting how much he could make by renting the room to a ballet troupe. A slender light rests on top of the mirror and when Max pulls the light's chain, the light comes on but he disappears, along with my hopes of the book's title being metaphorical. After getting one of the other kids to pull the chain and turn the light off, Max reappears. You might call it a chain reaction! But seriously folks, it's a terrifying novel. Max doesn't believe he really let's got invisible. Erin and April's ride arrives and Max tries to put the whole ordeal behind him. Yet that night he has trouble sleeping and sneaks up to the attic to investigate. Max slowly takes an inventory of the mirror's construction when he spies an ominous figure behind him. Mirror mirror on the wall, who's that staring from the hall? Why, it's just Lefty! They both go invisible for a couple minutes, start to feel weak, then pull the switch again. This time however it takes longer to reappear. Max figures that it must have something to do with how they were invisible longer than Max was the first time. The two brothers decide the best way to use this amazing new power of invisibility is to scare Zack, who wasn't there for the prior mirrorfest. And eventually they get him over to the house and they do scare him. Then they invisible him. Then amazingly April and Erin show up. Erin also wants to get invisible, but April remains hesitant and instead times everyone's excursions into invisibility. The kids will all attempt to stay invisible the longest. Before Lefty can take his turn though, his grandparents arrive for dinner and the other kids have to leave. But they agree to meet again later in the week to settle the contest. This is followed in the book by an extended bizarre sequence involving Max's senile grandparents. The two old codgers trade marital insults, complain, and one of them laments that they don't have any strawberry soup to eat. Strawberry soup? Max sees a spoon raise in the air and realizes that Uri Geller must be close by. Max wrestles with the invisible Lefty and drags him upstairs to the attic. Lefty brags as he comes back into sight that he stayed invisible for over ten minutes, so now he holds the record. Lefty promises not to use the mirror again but if these books have taught us nothing else, all children are liars. That night, Max stays up late because of the weekend and hopes that his parents will let him stay up and watch Saturday Night Live. If this book were written now, he's be hoping they wouldn't let him. Erin calls and tries to convince Max that if they brought the mirror to school for the science fair, they'd be sure to get first prize and appear in People. So that's why Brad Pitt was on the cover of People, he grew some peapods! Max tells her that it's a bad idea because the wrong people could find out about the mirror, like the military. Ruh-roh sounds like Max's brother isn't the only lefty! After five minutes of "No you hang up"-ing, Max sneaks off to the attic again. He sits against the wall opposite the mirror and stares at his reflection. As he starts to doze off, he's startled to hear a voice in the mirror, asking him to change his ways. And no message could have been any clearer: If Max wants to make the world a better place, he better get the hell out of the attic. Max runs down to his bedroom and hides underneath the sheets 'til morning. When Max awakens, he soon discovers that Lefty is invisible again and this time using invisibility to float a shirt in Max's room. Granted, it's better he's doing this rather than molesting Kim Dickens, but it still seems like no character in this book is using this amazing discovery for anything worthwhile. Max makes his brother go upstairs and change. When he comes back down, Max and his mother notice he's acting a little strange and there's something not quite right about him. There's really no way to talk about this part of the book without giving the twist away. Max tells Lefty that he's decided getting invisible is too dangerous and calls his friends to cancel the invisibility championship. However, when the day of the championship arrives, Zack and the two girls show up at Max's house anyways. Turns out Lefty, who is currently hanging out at the park with his friends, called them up and un-canceled the championship. Max decides that as long as they're all there, they might as well go up to the attic. If this book serves no other purpose, it continuously answers in the affirmative the eternal dramatic question we all ask of anything we read, "Will there be more things floating?" April finally gets to disappear but since Max's dog accidently gets invisible'd with her, he brings her back early. She's pissed but is again relegated to taking the time for the others. Erin goes next and for the first twelve minutes or so she's up to her regular hovering objects shenanigans. However, for several minutes they can't get her to respond to their questions. Eventually they spy a floating Coke can and Max brings her back by turning on the light. After she comes back into focus, she claims she just got thirsty and went downstairs and that's why she didn't reply. However, Max notices something odd about her appearance too. Zack decides he's going to smother the record and doesn't want to be pulled back into reality until after fifteen minutes have passed. He then takes off outside and pulls a hilarious prank on an older neighbor. See, Invisible Zack picks up these tomatoes, right? And well he makes them hover in the air! Ha, objects hovering in the air, what a fresh, novel idea! However, once his friends stop splitting their sides in laughter at his riotous object floating, they notice that he too does not reply to their calls. Against Erin's objections, Max races upstairs and turns the light off. Zack reappears and Max can't help but notice that his haircut has now been reversed. Max tries to say something but Erin and Zack push him under the light of the mirror and turn it on. He decides to not go anywhere and simply wait out his turn. As the time presses on, he begins to feel weaker and a white haze begins to envelop him. No matter how hard he cries, they won't pull the switch. Erin tells Actual Max no problem and pulls the cord again. Actual Max tries running out of the attic but Erin and Zack block his way. He yells to April to go get help but she tells him the only thing she can bring are May flowers. Just when all hope is lost, Lefty appears in the attic, sees the reflection of the invisible Max in the mirror and tosses him the ball. The ball shatters the mirror, sucking Max's reflection into the shards. Lefty holds onto the door frame while Erin and Zack also get sucked into the mirror and then spit back out again. April ends the book as she began it: doing nothing. Well, Max likes Erin, so that's not too platonic, but she like everyone else in this book does disappear at some point in the novel. Max's mom tells him he can forget about his chores and go play with his friends instead. "Sometimes nonviolence can be real frustrating." Max expects his father to ask him why his brother is invisible, only he doesn't seem to notice. I can't really fault someone for not seeing an invisible person though. But when he finally saw the three tomatoes spinning around in midair a few feet in front of him, his eyes bugged out and his face turned as red as the tomatoes! I was pleasantly surprised to discover that "the Let's Get Invisible! book" still held up. Not the best in the series, but its low-key charms are undeniable. 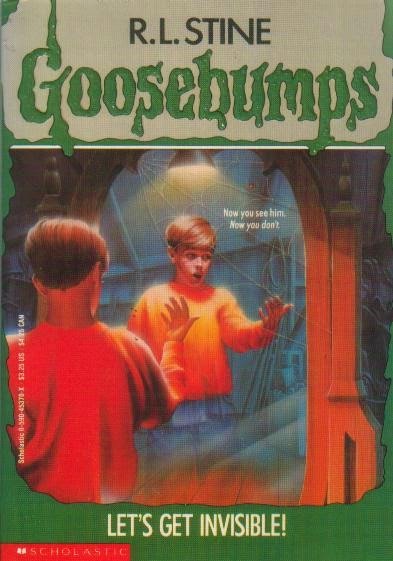 PS: When I was a kid, this was the first and last Goosebumps book I spoiled for myself by reading the ending first. Max sees a spoon raise in the air and realizes that Uri Geller must be close by. Quick, someone call James Randi! First of all, nice reflection pun in the twist, there. More importantly, I'm extremely disappointed that the elderly neighbor didn't GOGGLE at the sight of the floating tomatoes. Bummer. I just read this one a few months ago while babysitting (questionable childcare alert) and I have to agree, it's a pretty solid entry in the series. I totally thought of Olivia Newton-John when I saw the title. amazing. This was my favorite Goosebumps back in the day, so I'm glad to see you covering it :) Although reading your summary now, I can't remember what I thought was particularly good about it. Might have to go with "The Ghost Next Door" instead. lol @ "the Terminator movie." Wouldn't it be easier just to say "Terminator"? Just wanted to say that I love this blog. Also I got the buttons in the mail today. OMG. They are everything I could have ever dreamed of, and more. good stuff. I remember the ending when he's like OMGGGGGGG you're throwing with the wrong hand!!!!1!! Hey troy are you ever gonna do the tv show,or at least the tv books? Wow, that was cool and lame at the same time. I mean, come on, you find a mirror that makes you invisible, and the best thing you can think of doing with it is floating objects and having "invisibility contests". I can think of better things, but then again, this is a children's horror book. I could have sworn Max figured out something was wrong with his friend because his earring was on the wrong ear, not because of a haircut. I'll admit it: I had to Google Search "Phil Anselmo." 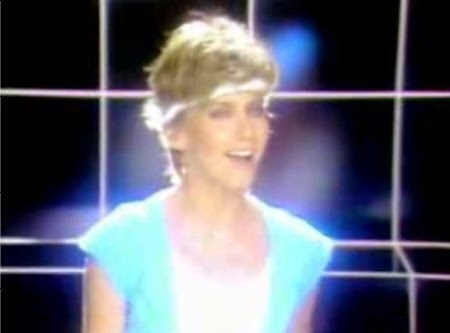 The second shot of Olivia Newton-John totally sells both. I seriously wonder if R.L. Stine created this title as a pun on "Let's Get Physical." I can actually see that happening. Also, the Tommy Wiseau reference was amazing. Actually in the tv version the mirror repairs itself,So its implied that max could go get lefty if he wanted to. You have to blog about this. Variety reports that Columbia Pictures has acquired rights from Scholastic Media to bring R.L. Stine's young-adult "Goosebumps" series to the big screen. The series has sold 300 million books, second only Scholastic's "Harry Potter" books. Scholastic's Deborah Forte is producing alongside Neal Moritz via his Sony-based Original Film. Sony and Scholastic see the property as a potential franchise. The studio is fast-tracking the project and is focusing on finding a writer. Moritz said they likely will cast unknown child actors and then pepper the film with well-known actors in supporting roles. First published in 1992, the original "Goosebumps" series comprises more than 50 books and has been published in 32 languages. The series also spawned a live-action TV show that aired on the Fox Kids Network in the 1990s. 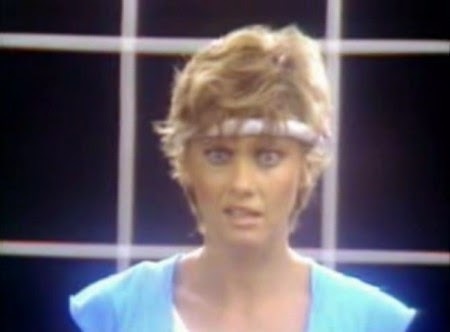 For those execs lurking the blog, I'll come out and say it: I'm the writer you're looking for. What would the plot of a Goosebumps movie be, anyway? They couldn't just adapt one of the books; they'd have to go for something more... well, epic, to fit with the famous name. And of course Slappy would be involved. Pretty much the same sort of thing Stine is doing with Goosebumps HorrorLand right now. There was meant to be a Goosebumps movie a while ago, I heard, but it turned out to be a completely separate spooky project. The movie will be the chilling tale of a creepy, hackish writer and his sinister quest to steal money from innocent children and parents. And even if it's not, it still will be. In that case, just put quotes around "chilling." This was one of my favourites. The way they take longer to reappear each time, and the bit where invisible Zack stops answering them, are genuinely kinda creepy. PS, anonymous, the earring thing was a change they made for the TV episode. I guess they figured the haircut would look stupid. Good call, I'm inclined to say. "Max doesn't believe he really let's got invisible." The second one I ever read. Troy, you're a comedic genius. I re-read this book for the first time in ages after finding it amidst the crap in my basement today. It was pretty good - it has the creepy atmosphere that I like in the older Goosebumps books, a fair helping of cheesy prose, and some of the later scenes are really creepy though if you think about it the end makes no sense. It's 139 friggin' pages long though - is this the longest Goosebumps book ever? The first nine books are considerably longer than the rest of the series, but I think there's another title that's 140+... maybe the first mummy book or Welcome to Camp Nightmare? 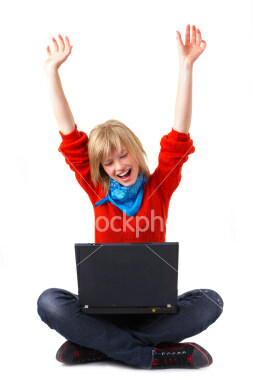 Hans, are you trying to say that the "creepy, hackish writer" you mentioned is really R. L. Stine? And, Troy, your "Let's Get Invisible book" joke really made me laugh. Let's Get Invisible is the longest book. Welcome to Camp Nightmare has 136 pages and the Curse of Mummy's Tomb is, I think, 132 pages long. The two old codgers trade marital insults, complain, and one of them laments that they don't have any strawberry soup to eat. Strawberry soup? What's wrong with strawberry soup? I can't say whether you were right that this wasn't the best book in the series, but this was the only one that ever scared me. Also my favourite. Tommy Wiseau reference = I love you. I went to a live Q&A with him! About the Terminator thing, thats kinda like what I did with The Great Gatsby. I called it the Gatsby movie or just The Gatsby. I'm surprised no one commented on the obvious: this book is about teenage drug experimentation. The mirror is clearly a stand-in for pot, and the how-long-can-you-stay-invisible contest is just a form of peer pressure. Also, this book is kind of the children's book version of the film "Flatliners", no?